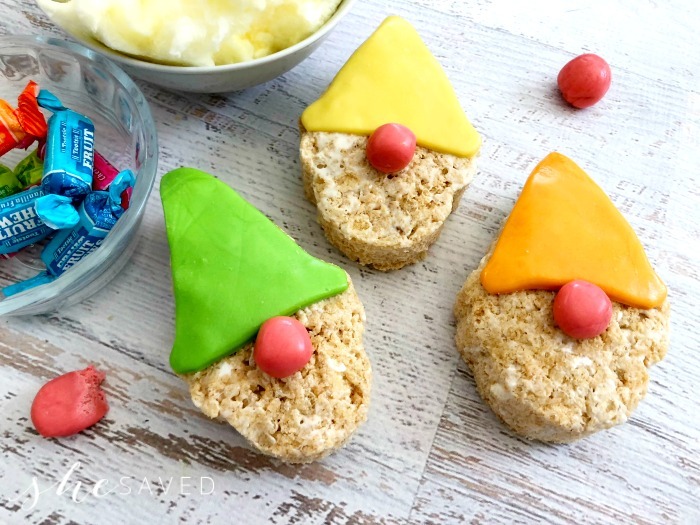 Aren’t these rice krispie treats gnome cookies darling!? Perfect for your garden party (get it!!?) 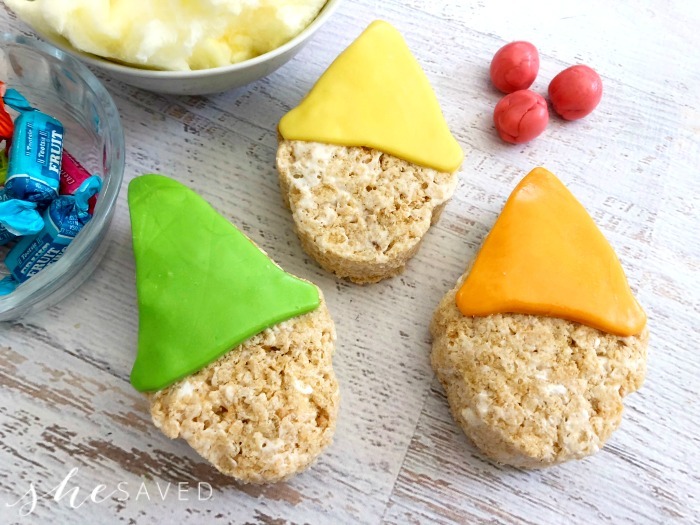 or even a fun way to celebrate the new Sherlock Gnomes movie! 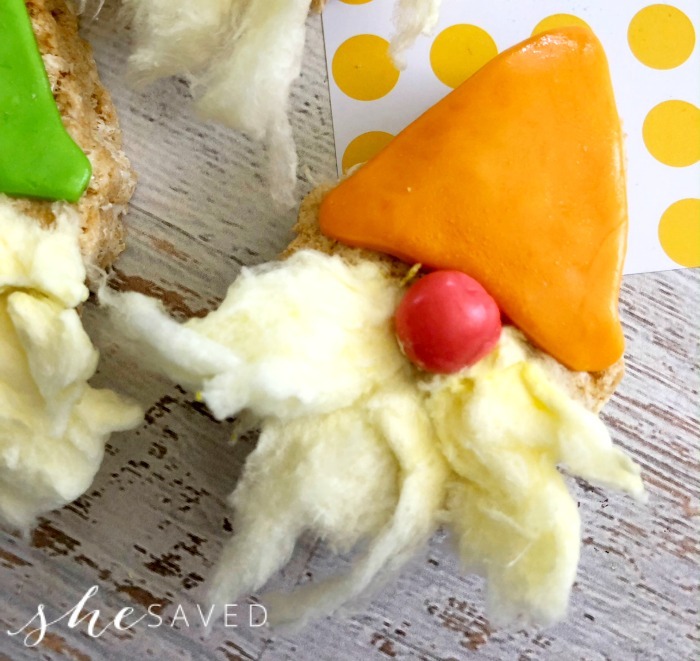 These gnome cookies are super easy to make and the kids will love helping you with the decoration. 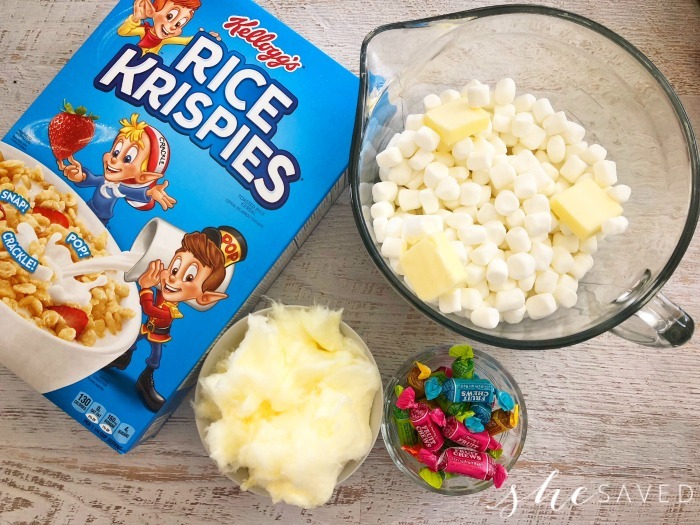 Don’t have time to make Rice Krispies treats? 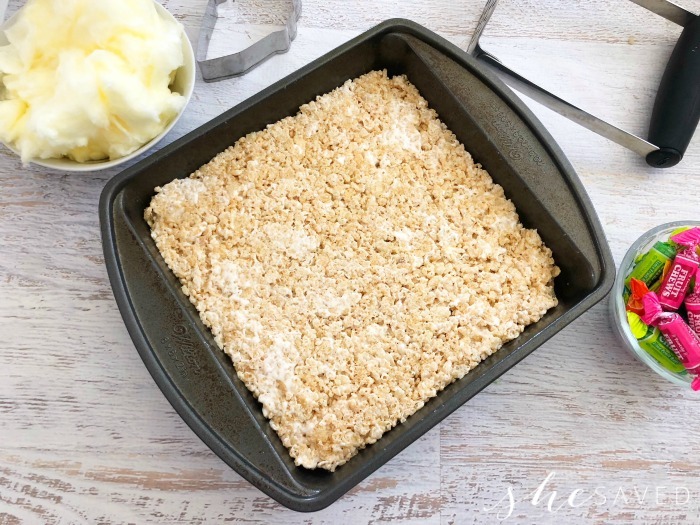 Did you know that you can purchase a pre-made sheet of Rice Krispie treats? That might be a nice option in case you are short on time. 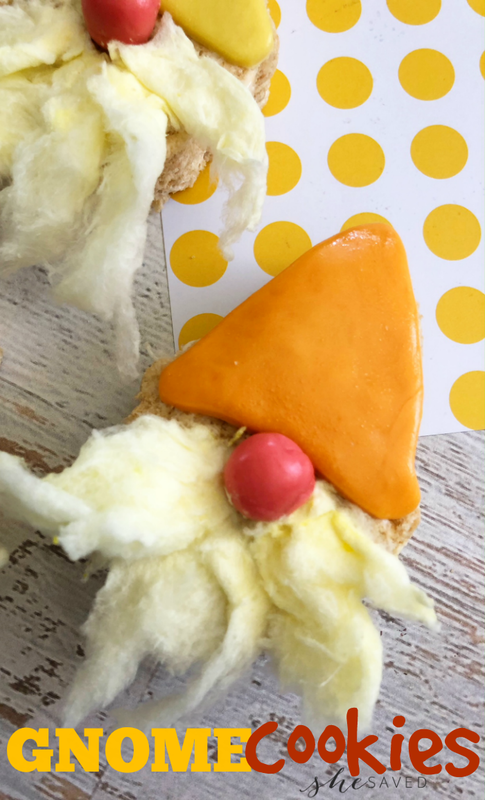 Keep in mind, you could also make this same “look” with sugar cookies, if you would rather. 1. Grease a small 8×8 dish with butter or a non stick cooking spray. 2. 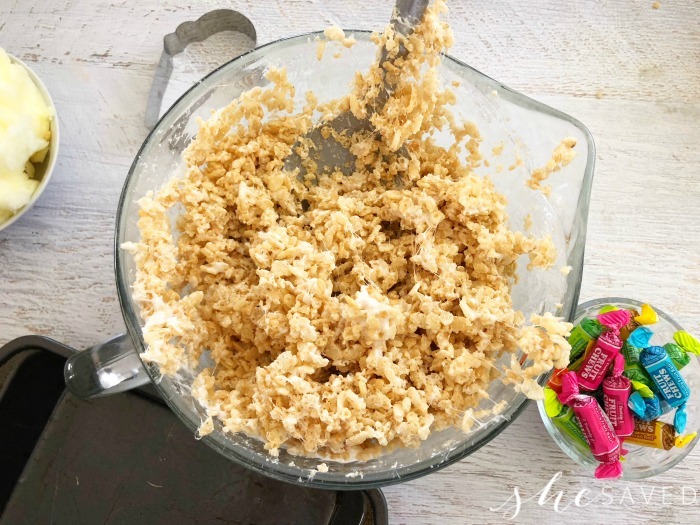 In a large microwave safe bowl, combine your marshmallows and butter and heat for 1-2 minutes until the marshmallows get puffy. 3. Now mix in your Rice Krispies cereal. 4. Scoop into your pan, press down firmly, and freeze for 15 minutes. 5. Place 4 of the same colored Tootsie Rolls in the microwave for 3 seconds, unwrap and press together. 6. 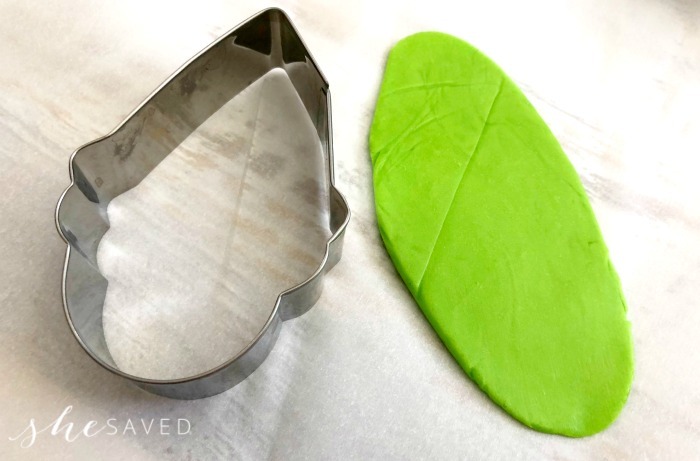 Roll out your Tootsie Rolls and use the cone side of the cookie cutter to cut out a hat. 7. Repeat steps 5-6 until you have 8 hats. 8. Pull apart 4 pink Tootsie Rolls and roll each half into smooth balls. 9. 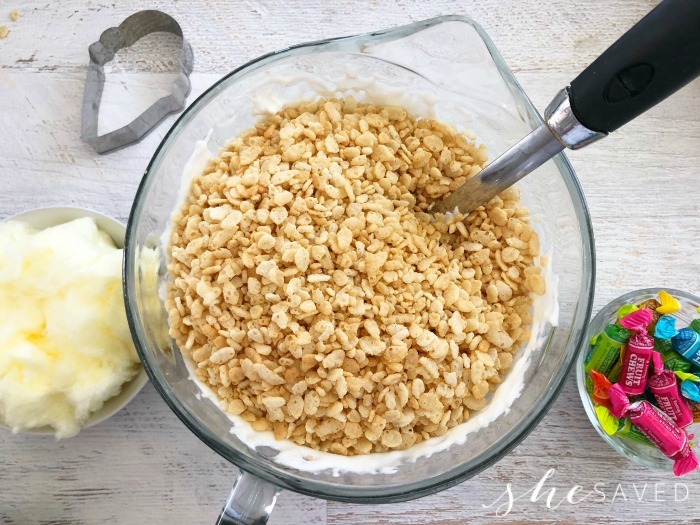 Use your cookie cutter to cut out as many ice cream cones as you can from your Rice Krispies. 10. Place the Tootsie Roll hats onto the Rice Krispies and a ball underneath for a nose. 11. Pull apart your cotton candy and press it below the nose for a beard. It sticks perfectly but if you’re planning on storing overnight you might want to spread out a little vanilla frosting first. Aren’t these the cutest!? 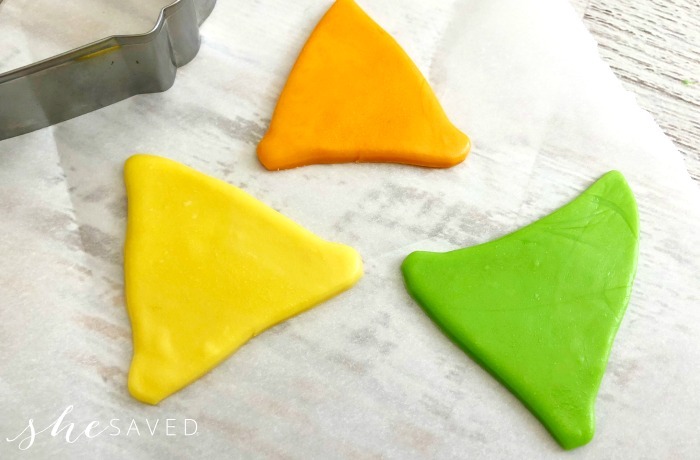 So simple and an easy activity for little hands if you want to turn this into a fun activity for the kids. And I promise you, they’ll love helping you with the extra details, especially the cotton candy! Grease a small 8x8 dish with butter or a non stick cooking spray. Now mix in your Rice Krispies cereal. Scoop into your pan, press down firmly, and freeze for 15 minutes. Place 4 of the same colored Tootsie Rolls in the microwave for 3 seconds, unwrap and press together. 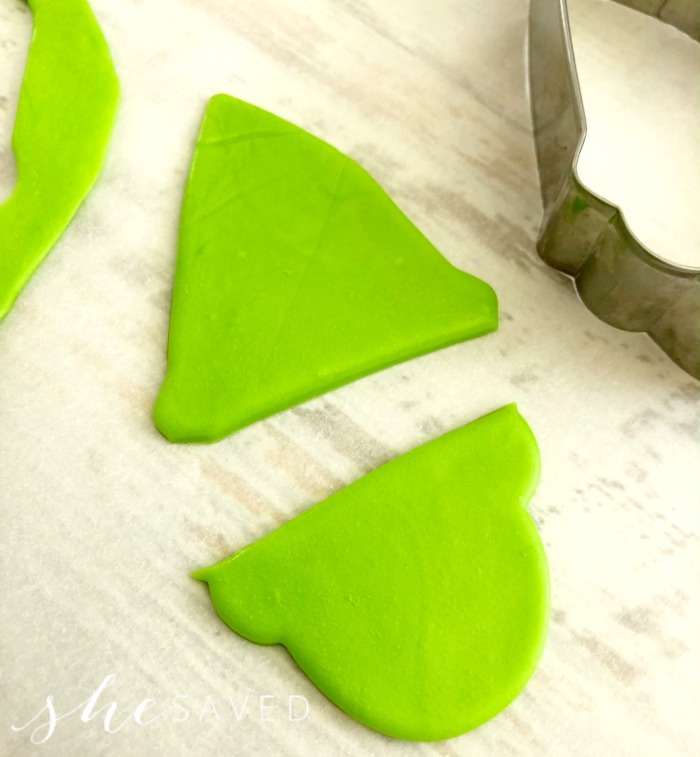 Roll out your Tootsie Rolls and use the cone side of the cookie cutter to cut out a hat. Repeat steps 5-6 until you have 8 hats. 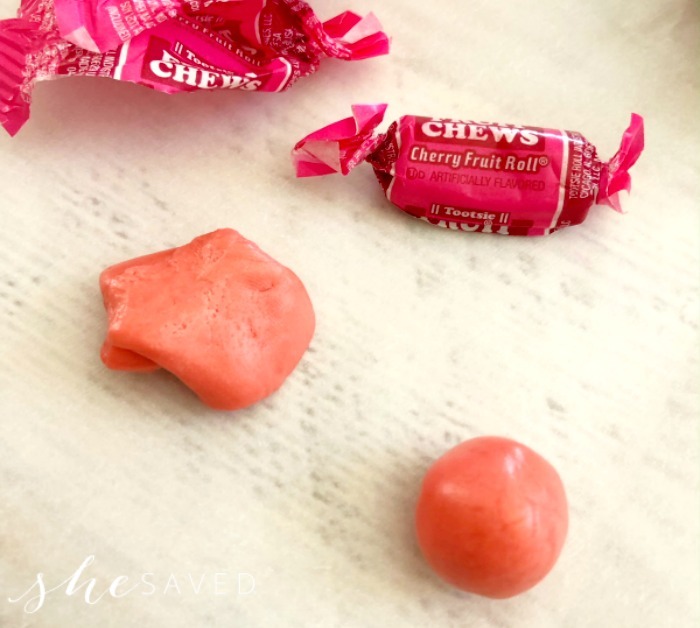 Pull apart 4 pink Tootsie Rolls and roll each half into smooth balls. 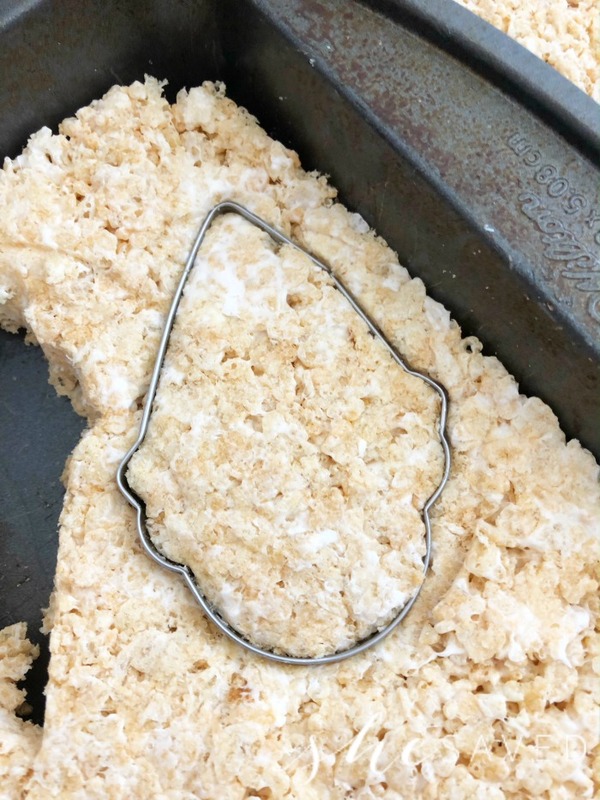 Use your cookie cutter to cut out as many ice cream cones as you can from your Rice Krispies. Place the Tootsie Roll hats onto the Rice Krispies and a ball underneath for a nose. Pull apart your cotton candy and press it below the nose for a beard. It sticks perfectly but if you’re planning on storing overnight you might want to spread out a little vanilla frosting first.